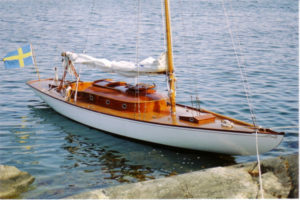 The centenarian regatta ”Hundraåringarnas Regatta i Mariefred”, Sweden, is an idea inspired by the Gstaad Yacht Club’s Centenarian race at St Tropez. The tongue in cheek purpose is to set a world record in the number of 100-year old yachts and older, racing in the same regatta. St Tropez had 16 yachts competing last season, 11 finished. The Swedes have already gathered 26 yachts that have registered for the event on 25th-28th July, 2018. Among the yachts are the 10mR Kitty from Finland (gold medal at the Stockholm Olympics 1912) and the Russian Mirame, an 8m Universal Rule from 1910. The intention is to have the record registered in the Guinness Book of Records and with the organisers estimating the number of Swedish Centenarians still sailing to be at least 70 this record is certainly very attainable. All racing takes place on Lake Mälaren, also home to the remains of the first viking town, Birka, and to a number of Palaces like Skokloster. But its not restricted to yachts over 100. 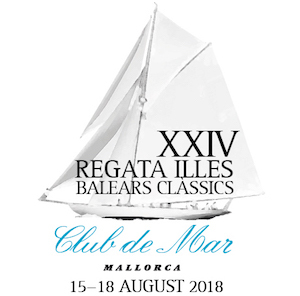 Yachts aged between 60 and 99 years old will race for the ”Junior Trophy” and the yachts that have not yet turned sixty will compete for the ”Cub Trophy”. 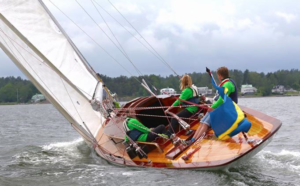 The regatta starts with two days of long distance races of about 15-18 nm each day (July 26th and 27th) that will be followed by a regatta dinner to be served at Sweden’s oldest (17th Century) Inn. On Saturday July 28th there will be a ”turn-around fleet race”. The yacht taking the lead eventually has to turnaround and when this yacht meets No.2, he turns around too, and so it goes on. The last yacht will eventually take the lead. The oldest participating yacht so far is the “Koster” Gerdny from 1880. The Kosters originate from the islands with the same name on the Swedish west coast and were workboats from the start, but when the heavy hot bulb engines were introduced sturdier designs took over. 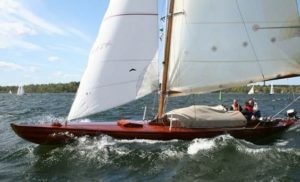 Kosters continued to be built as pleasure crafts and new “Koster” designs were built as late as in the 1960’s, most of them designed by Olympic sailor Arvid Laurin. 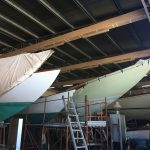 These flush decked yachts even participated in Trans-Atlantic and Admirals Cup races and unless there are unexpected strong winds then Gerdny is unlikely to come out on top. Twelve of the 26 yachts that have declared their participation are large or medium-sized Skerry cruisers and they will most probably set the pace for the race. Even in weak winds the Bermudan rigged yachts will sail fast, while the gaffers will need stronger winds to perform at their best. The Salander-designed 95 sq.m Kerma is celebrating her 100-year anniversary and comes to Mariefred with a very experienced skipper and crew. 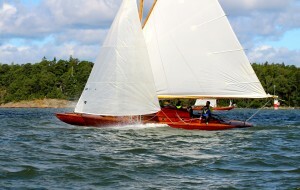 The yacht has twice won the classic class of ÅF Offshore Race (former around Gotland race). 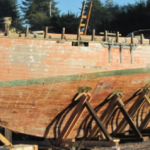 Three years ago Kerma sunk the night after she was launched and although she was salvaged just two days later she suffered severe damage that required an extensive refit. She was back racing last year and won the Scandal Beauty Trophy in Stockholm. In light winds Kerma is a favourite. 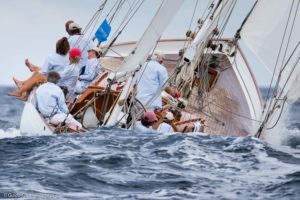 There are a handful of 55 sq.m yachts whose performance is difficult to predict as they have not raced in the Classic Yacht Cup Sweden which dominates racing for the larger classic yachts in the country. 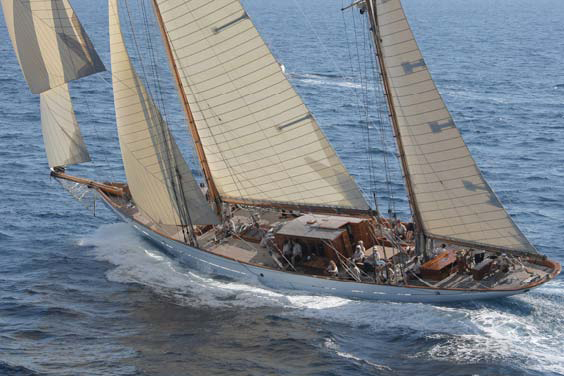 L’Aiglon II, designed by Salander and built in 1916, has recently registered and has a chance to finish on top. L’Aiglon II is considered one of the fastest 55 sq.m around and will perform well in light winds. She won the Uppsala regatta in 2016. Ninni came second in Uppsala. 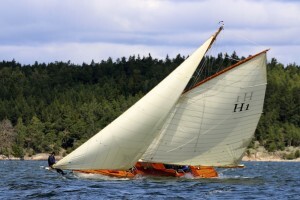 She was designed by the famous Tore Holm and built in 1918. 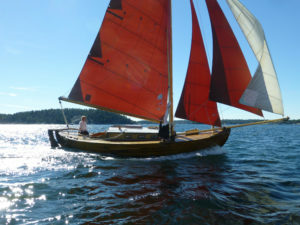 Her owner, Tor Hedvall, is a very experienced skipper, but Ninni almost sank at the last regatta of the season last year when 8mR Asagao rammed her. Ninni has been repaired and will race at Mariefred. 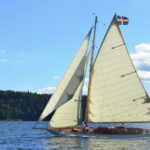 Asagao, a stunningly beautiful gaffer designed by Johan Anker in 1908 will be racing in the 8mR World Cup in Germany in early July, but her skipper Kjell Nilsson-Levihn hopes to arrange transport back to Sweden in time for Mariefred. 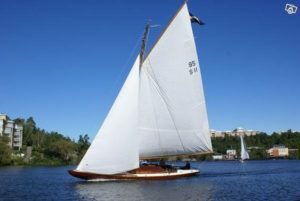 A yacht that could perform very well is the 95 sq.m gaffer Irmelin, designed by Albert Andersson in 1913 and built at Plym’s yard, but she sails best in strong winds. 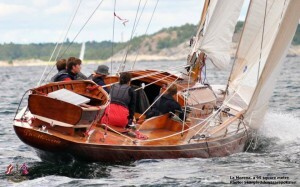 Her owner Bobby Cyrus is also the helmsman of the 150 sq.m Beatrice Aurore, a gem in the Swedish classic yacht fleet. 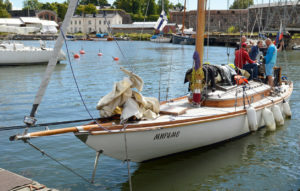 A potential dark horse is the gaff-rigged 8m Universal Rule Mirame from Saint Petersburg, designed by Gunnar L Stenbäck and built at Åbo Båtvarv in Turku Finland in 1910. 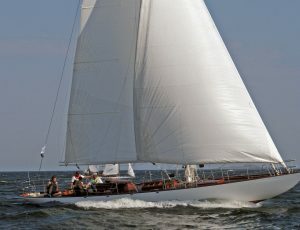 She has won many local races in her homeport St Petersburg and when she participated in the 2009 boat meet outside Trosa, Sweden, her owner Vladimir Nikitin showed off a fast and well-maintained yacht. Another dark horse that could outperform most other yachts in very light winds is the fin-keel racer X, designed by Karl-Einar Sjögren in 1912. X performed with bravado and became known as “the silver thief” in the 1912 races that run parallel to the official program of the Stockholm Olympic Games. She won the 50 sq.m class. 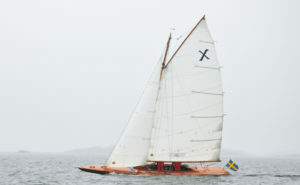 Just like the 55 sq.m yachts, X has occasionally participated in classic regattas and done well, but it is difficult to compare her results with the yachts racing in Classic Yacht Cup Sweden. 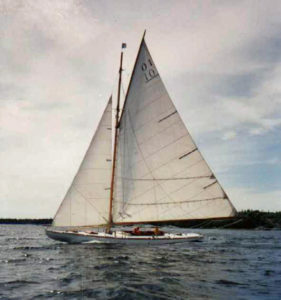 Another fin keel gaffer that does not regularly participate in racing is Oberon, built and designed by August Plym in 1901. 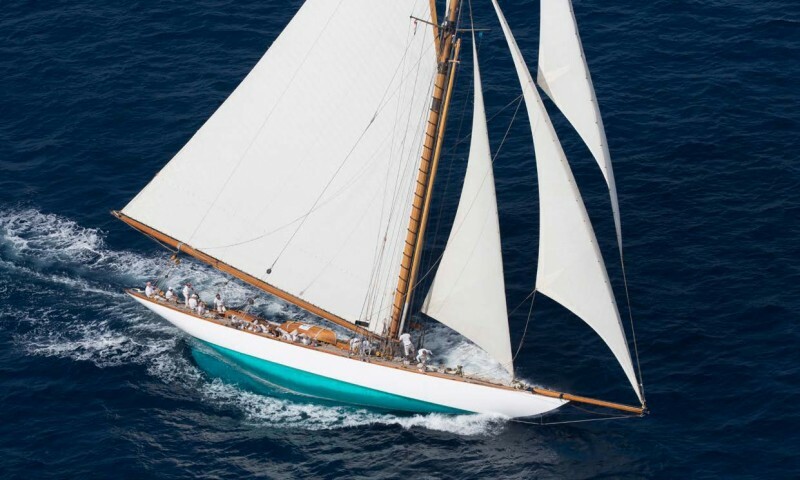 The two oldest yachts with recent racing records are the lovely 1896 gaff riggers Alca, designed by Axel Nygren and Eol designed by Albert Andersson. One of the favourites is the 55 sq.m gaff-rigged sloop Miranda. However with light winds, expected, perhaps around 2-3 knots, she is not likely to finish first, or second – or even third! Miranda was designed by Gustaf Schüssler and built in 1912 for the Stockholm Olympics. She won the Baltic Classics Masters in windy Turku 2015 leaving 30 other classics from five countries behind. Since then she has not participated in any races. In 2016 her owner, the Widstrand family, launched another yacht, the 95 sq.m Marga IV after 50 years on land. The renovation project took 30 years. The Widstrand family won several races in 2016. In 2017 Mia Widstrand took over the helm from her husband Henrik and Marga IV won all races she participated in except one where she finished second. As Marga IV was built in 1921 she does not qualify for the Centenarian title and will not compete. There are a handful of yachts with limited recent racing records that could surprise us. 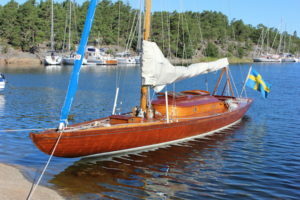 The 55 sq.m Maritza has not registered but if she attends then this Gustaf Schüssler design from 1912 is one to watch. The same could be said for the 55 sq.m Rio built by August Plym in 1914, the 75 sq.m Mazurka built by Albert Andersson in 1906 and the 75 sq.m Svanevit designed by Andersson in 1904. Mazurka has the advantage of being a local and knowing the winds and the waters of her homeport, Mariefred. 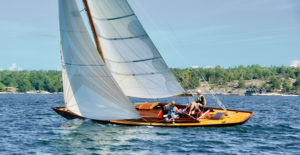 The 10mR gold medal winner in the Stockholm Olympics 1912 Kitty, designed by Alfred Mylne in 1911 is potentially very fast, but her owner John Fagerholm says Kitty needs a new set of sails to perform well in serious racing. “We come for the fun of it,” he says. An unusual and beautiful yacht to look for is Beduin, a SL12 (sail length rule), designed by Bonnesen and built at the Copenhagen Ship Yard in 1901, but just as 9mR Osprey, built in 1912 and designed by W von Hacht, Hamburg, she craves much stronger winds that can be expected. 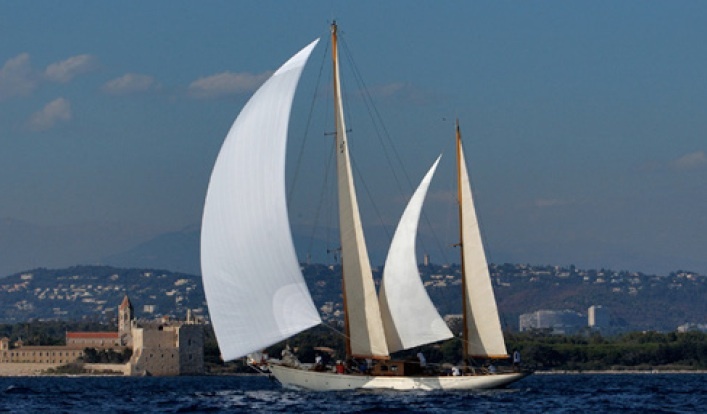 Besides the Centenarians there will be some spectacular newer yachts in the fleet-race. 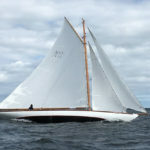 The Plym-built S&S yawl Circe will be back racing in the “old country” and Mariefred is included in her Swedish itinerary. 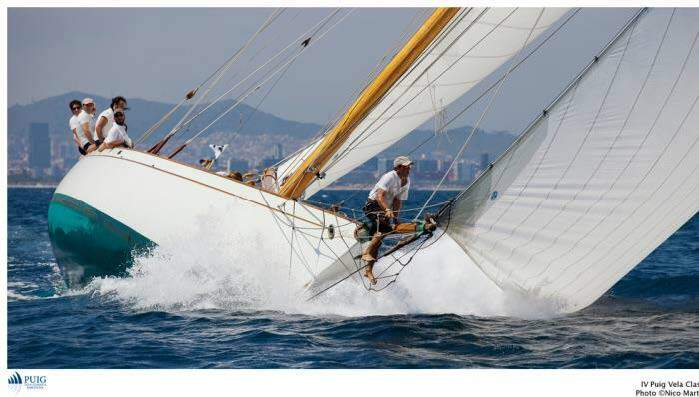 Circe entered the Med circuit last year and finished 10th in the vintage class. 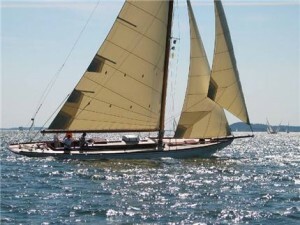 In her early years she won the around Gotland race and line honours in the Fastnet Race. Circe races in the 60-99 year class. Another spectacular yacht racing in the same age group is the 95 Sq.m La Morena, designed by Gustaf Estlander in 1922 and built at the Pabst Werf in Berlin. 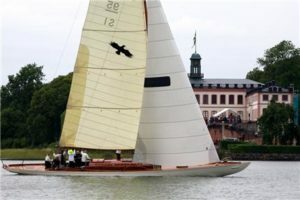 La Morena won everything there was to win in the Baltic Classic Circuit and other regattas up to 2016 when she lost a match race against Marga. Last year she went through a refit ashore. Phew, that was a long list! The regatta will provide an online ”Cruising Guide” for participating yachts. There’s also a Grapevine group on Facebook, where yachts can register and a home page www.mariefredbk.se where the program, race documents and results can be found. All documents and practical matters will be posted in English in mid April. In the meantime, yachts that have questions or would like to register are welcome to e-mail ahoy@sailtrust.org. Register!!! A chance to be a part of the Guinness Book of Records – for what its worth. Even better, be part of an event that exhibits the timeless classics of Scandinavia and soak up that fine Scandinavian atmosphere. Thank you Olle Appelberg (SEARCH Magazine) for the information.